Let Atlanta’s best inbound marketing agency take control of your digital marketing efforts. The Creative Momentum is certified in the HubSpot Inbound Methodology and has created marketing strategies with effective, proven results in social media, blogging, SEO, PPC, email marketing and more. We are also proficient in Marketo and Pardot, catering to our clients’ preferred marketing automation software. We have driven hundreds of thousands of visitors to the websites we've created and those we've inherited. Inbound marketing uses great content to answer the questions buyers are asking naturally on social media and in search engines. The Creative Momentum can help clients identify their ideal buyer personas and copywriters create strategic messaging to every phase of the buyer's journey. The fact that you are seeking inbound marketing services from an agency tells us you are ahead of the pack, and that you know it’s time to take your SEO, PPC, email marketing and social media efforts to the next level. It’s time to not just drive traffic, but to control and improve upon that traffic—by coordinating needs and conversion opportunities by unifying channels, offers, and tracking. The Creative Momentum has lowered outbound marketing spend, increased ROI across SEM and social channels by limiting wasted money and focusing on the needs of our client’s customer. 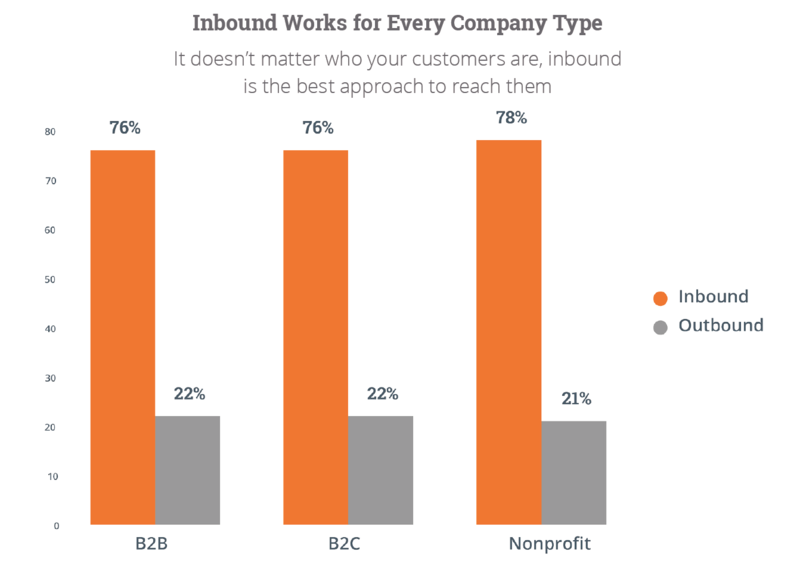 This is the intrinsic value of inbound! Further, we love content, personas, and figuring out how to make who needs what, when, where, and why! And when we figure it out, we create it, track it, and improve upon time after time. 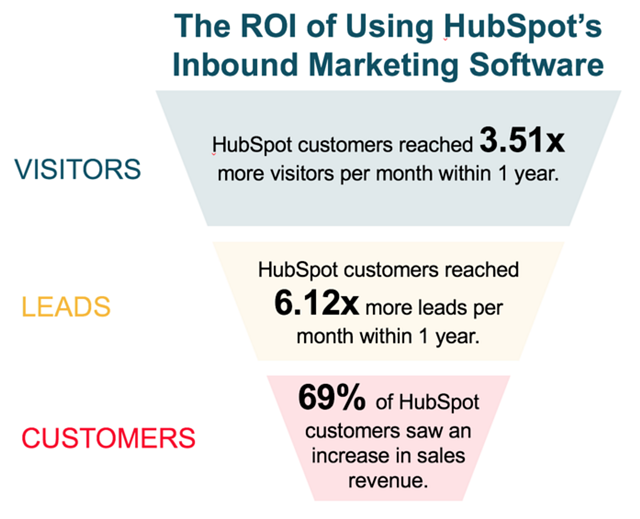 You know the value of inbound marketing. You’ve seen the countless metrics that prove it’s value in not only nurturing leads into customers, but better aligning your internal team's functions and efficiencies. Like any new system, software solution, and process being integrated, incorporating inbound does require time and effort. That’s where the right agency comes into play. Agencies, like ours, hone processes by doing, testing, learning, and repeating—over and over, client by client. It’s this honing that you invest in; insuring function and results, while allowing you to continue to focus on your business while making your inbound solutions work for your business, your way. Whether you are new to inbound, just need extra hands, or want your very own inbound Sherpas to lead you to your conversion summit, finding an agency that is a true partner is invaluable to get setup and running. This is our difference. Yes, we are an agency, but we act and feel like partners, and even as if we are an internal part of your team. Inbound is not just methodology, it’s a way to increase business KPIs, improve ROI, and drive profit—as a fine-tuned machine! Why choose our Inbound Agency? 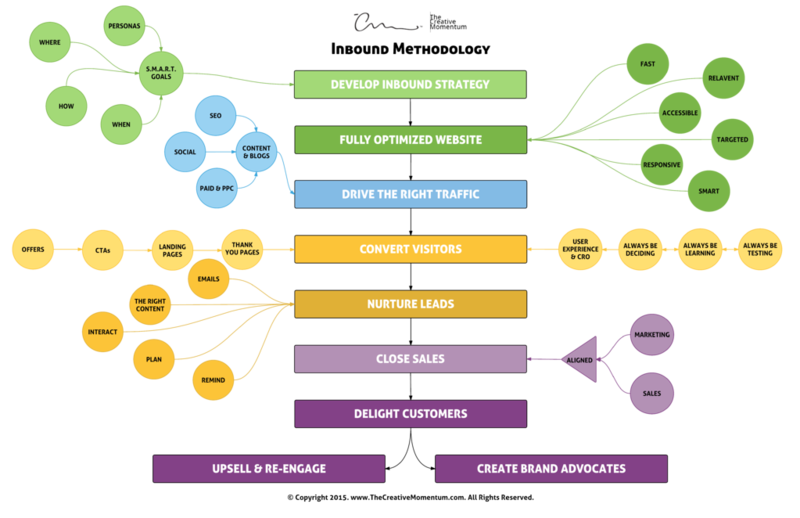 Check out our inbound methodology in the process diagram below. This is what sets us apart from the other inbound agencies, who no doubt have solid resources and generate great results themselves; we do everything under one roof, based on proven processes. We build nationally acclaimed, award-winning websites, optimized for user experience and coordinate content strategy with the creation, distribution, and placement of rich media assets and content — content that converts. We develop the strategy, the assets, the websites and align them all, reporting down to the users needs and revenue generated. When you engage in inbound, and when it comes to integrating HubSpot into your existing website structure, getting your site migrated, or even completely rebuilding (redesigning) your website in HubSpot itself, we’ve got you covered. We then have the chops to refine and leverage your inbound touchpoints by further being able to fix, leverage, and lift your SEO, PPC, Social, and Email (drip & nurture) campaigns. We take the guesswork out by finding issues and resolving them, then discovering opportunities and strategically leveraging them, while constantly testing, learning, and iterating for continued lift in quality leads that become customers. If it sounds like we could be the Inbound Marketing agency partner for you, contact us today—let’s discuss your goals, and gain your momentum! Get the Latest Inbound Stats! The 2018 State of Inbound Report provides you with the data you need to determine how effective inbound marketing can be for your company—regardless of size. You can access the infographic below to download, embed, and/or share. Check out the blog post.